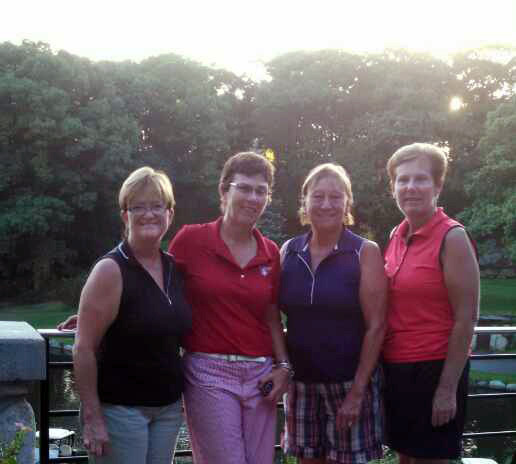 Gannon Ladies held their Miss Liberty Tournament a little late this year, as it got rained out in July. 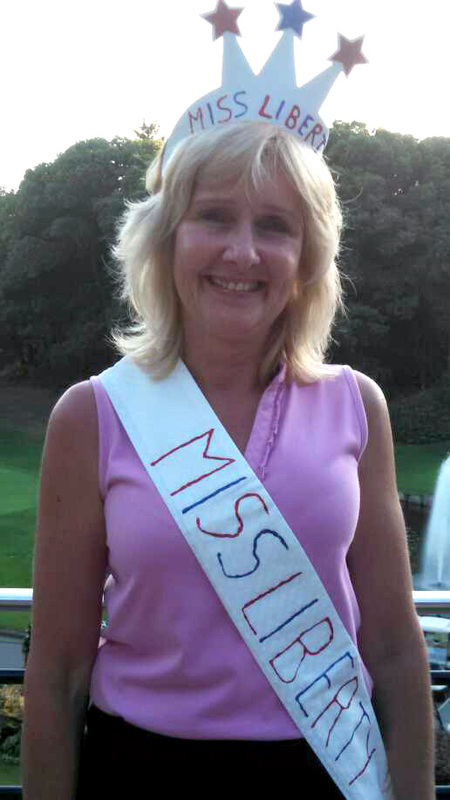 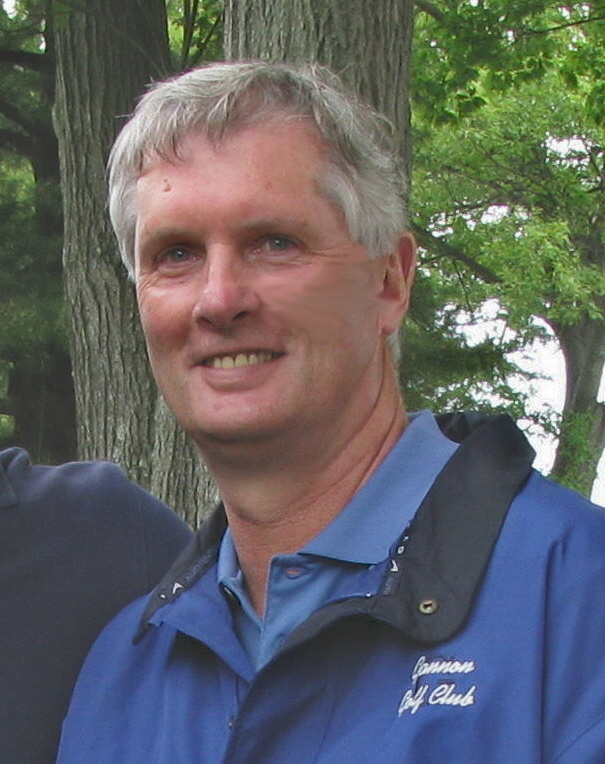 Winning the title of Miss Liberty with a low net score of 61 was Denise Carney on a match of cards over Diana Brady who placed second. 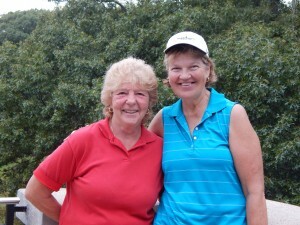 Third and Fourth place was also a tie between Cathy Thibeault and Mary Hunt with a net score of 64. 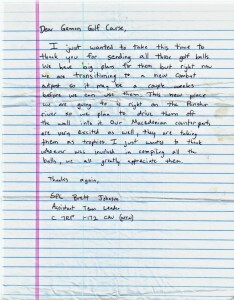 Here is a thank you letter we received from SPC Brent Johnson for the 16 cases of golf balls Gannon Golf Course sent to him and his fellow troops in Afghanistan. 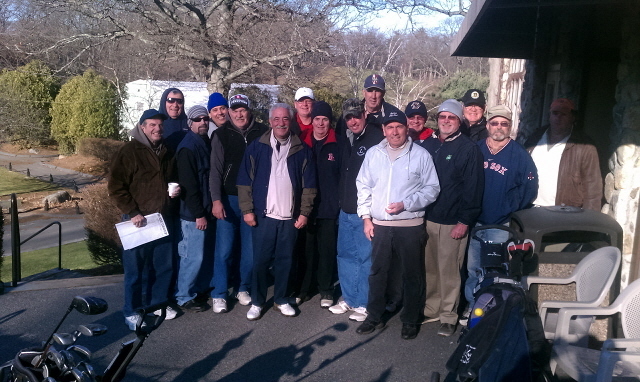 Our members, in conjunction with the Pro Shop and Mike Foster, contributed the balls. 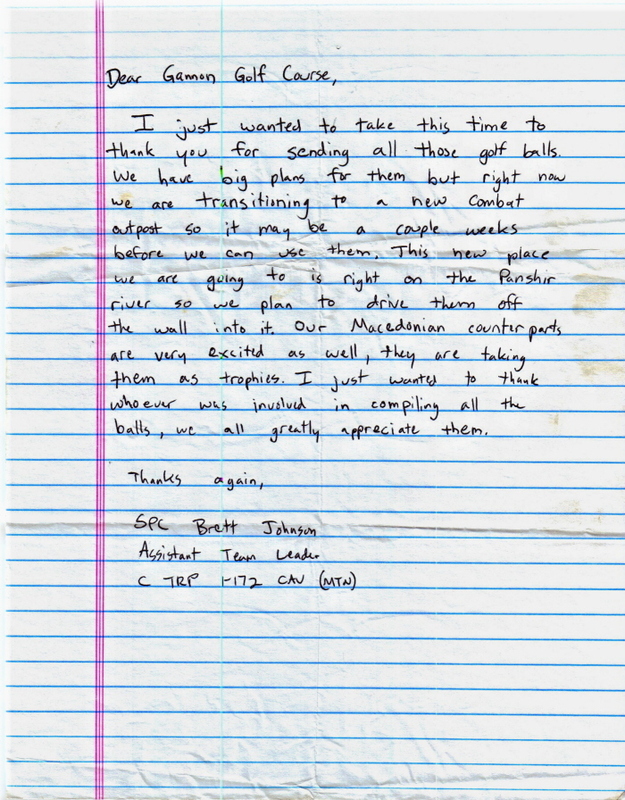 The Gannon Building Association, The McKee Group, Shoe City and the Pro Shop all contributed to defray the shipping costs.